LHS students are making an effort to help with relief for victims of the Japan earthquake and tsunami. 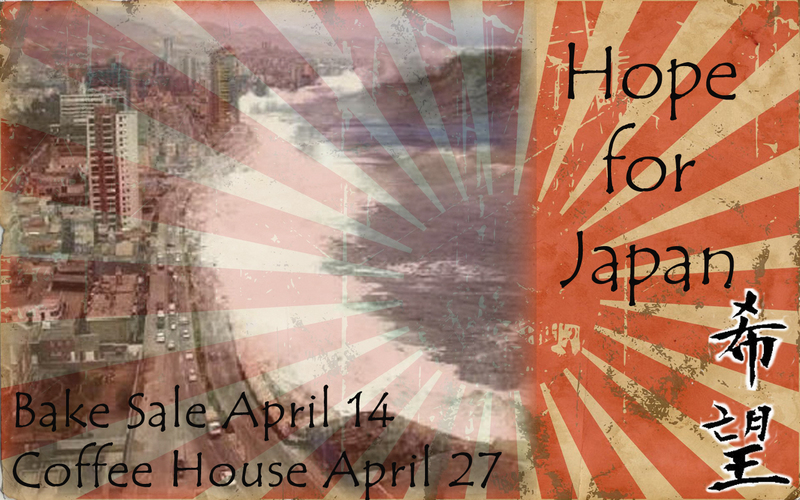 There will be two fundraisers in April and all proceeds will be donated to Japan. Thank you! Thursday, April 14, during lunch blocks. 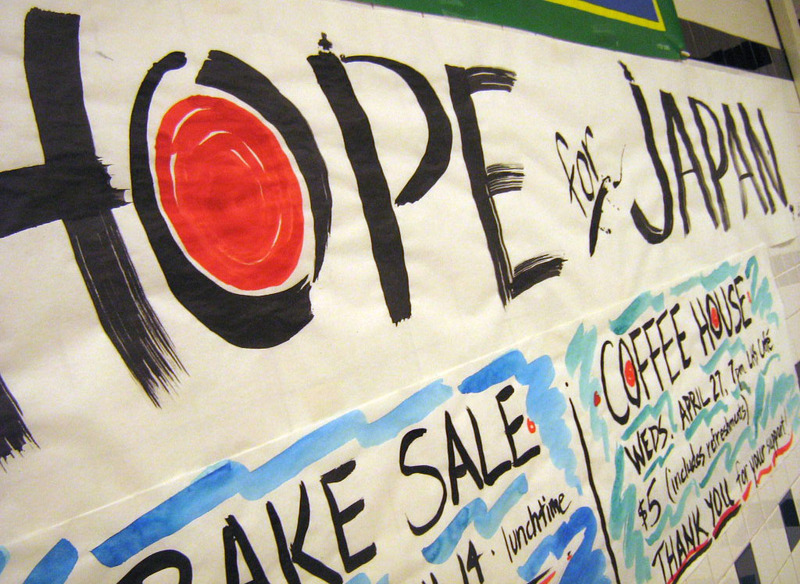 Art students will be selling baked goods, origami boxes filled with Japanese candies and bracelets with the kanji for “hope” on them…all handmade! 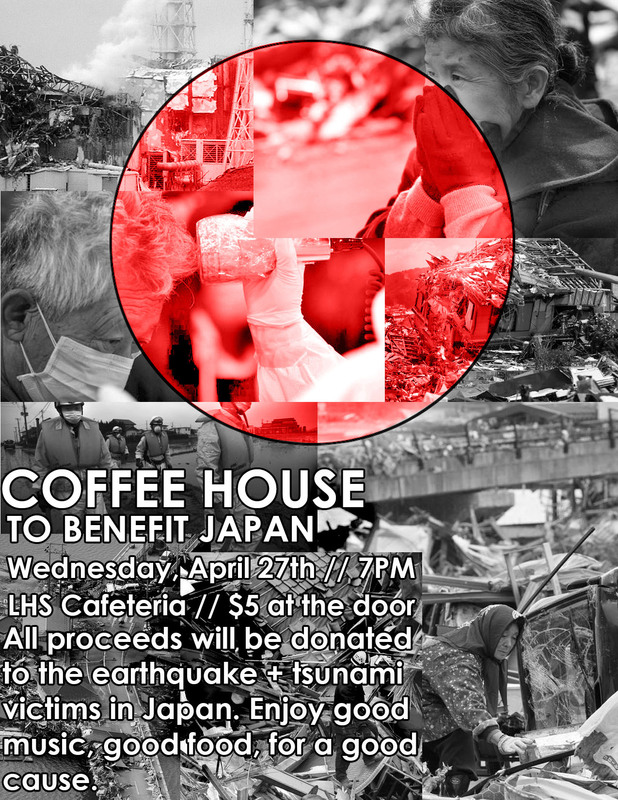 The LHS Music Department will be donating all proceeds from their April Coffee House to the Japan Relief Effort. Art students will be selling bracelets and origami boxes filled with Japanese sweets. Save the Date! Enjoy great music, coffee and company while helping the Japanese people of the affected Tohoku region rebuild their lives. All proceeds will benefit tsunami survivors in Japan. Thank you for your support! Want to do more to help? Visit the website of Peace Winds Japan here or Second Harvest Japan here.